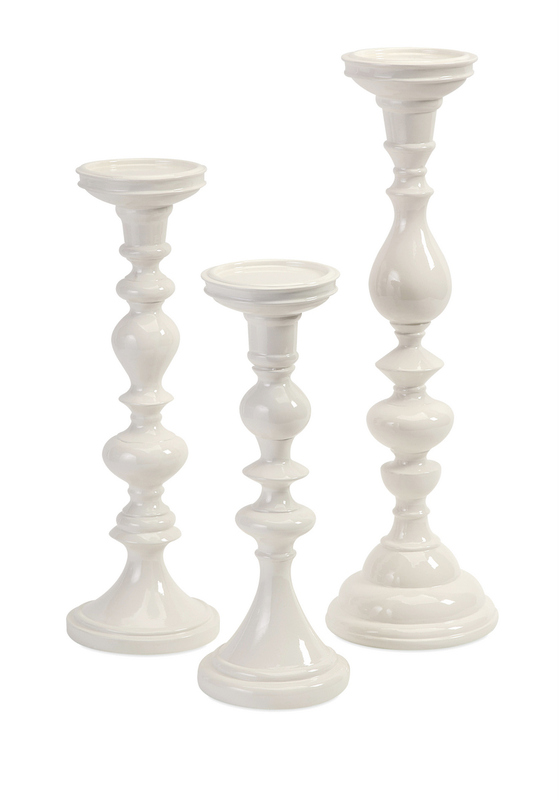 Nothing says celebrate quite like candlelight, and when it comes to great style, nothing holds a candle to these shapely candleholders from the Celebrations Collection by Connie Post. Rendered in poly-resin finished in white. Set of three.